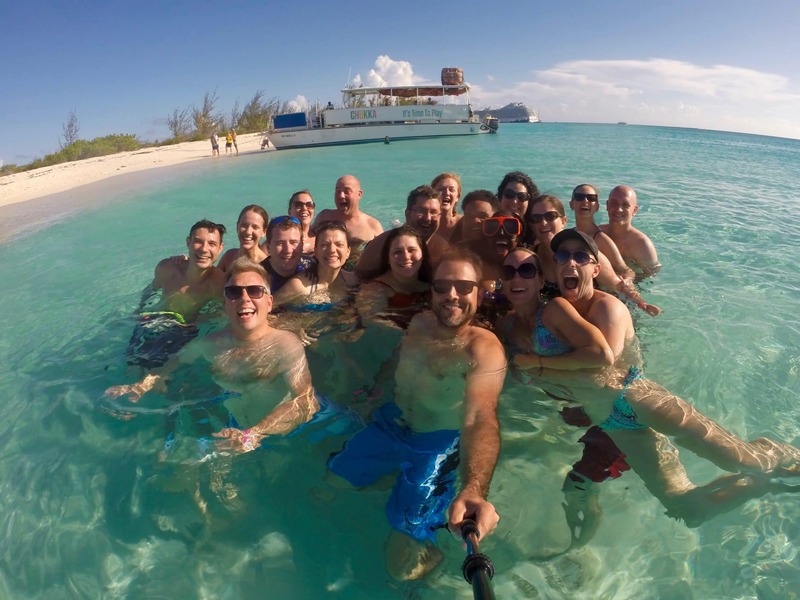 Last week I took my entire team on a Caribbean cruise to mark a major accomplishment. Celebrating success is something I really believe in. Family is also something I really believe in—and that’s why we included not only our employees and key contractors, but also their spouses on the trip. That meant accommodating more than thirty people, but I wouldn’t have missed the chance. It was the perfect opportunity to strengthen the team and recognize the people that make it all possible. There’s far more at stake here than you might think. Based on my experiences in both corporate and entrepreneurial environments, there are at least three reasons why leaders should consider including the spouses of their team members. Sometimes we like to think there’s a sharp divide between home and office. There might be a commute, but there’s no divide. The person who creates marketing plans, fields customer calls, and follows sales leads is the same person who helps kids with homework, pays the mortgage, and lays in bed talking about her day with her husband. One environment affects the other. The stresses and strains of one get dragged into the other. It’s inescapable. I once had a boss who seemed distant and aloof. He would come to work and retreat behind his office door. It turned out that he was in the middle of a divorce, and the difficulty of his home life directly impacted his effectiveness at work. A positive home life can positively affect our work. I’ve seen this thousands of times with my wife, Gail. Her support and encouragement has made me a better husband—and leader. In fact there’s a direct relationship between the success I’ve experienced at work and the encouragement I’ve received at home. This is especially important for entrepreneurs and smaller teams where the impact on one person can have an outsized effect on the business. Including spouses is just one way of recognizing this reality. For me one critical reason for including spouses on the cruise was to pull them into the discussion of our team’s values and vision for the future. In fact, we set aside one day to cover this in detail. Why? We’re building a fantastic company, and I want the buy-in of everyone—team members and spouses. When people are invested in a vision, they support that vision. They feel good about it, and become advocates for it. I also wanted the spouses to see how much we value everyone on the team. To help with that Megan, my daughter and the dean of Platform University, created job-specific awards to honor each member on the team. It was awesome. And it communicated our deep appreciation for what each person contributes to our success. Beyond that, each night on the cruise we created conversations designed to increase our connectedness as a team. We discussed what each of us personally is proud of accomplishing in the past year and what’s in our sights for the next. To have our wives and husbands present was key for putting our achievements and our goals in perspective. Since the personal is professional, leaders can help their organizations by knowing what’s going on in the relationships of their team members—and no relationship is more important than a team member’s marriage. This has been a key part my hiring philosophy for years now. If I have a key hire, there’s no way I’m doing it without meeting the candidate’s spouse, preferably over dinner with Gail at my side. By following this policy I’ve been saved from at least one hire I’m certain would have been disastrous. We’d already been through several interviews, and I had the offer in hand. But when it came time for dinner Gail noticed something off and actually kicked me under the table. Her intuition helped me make the right decision. Why? Because she saw something in the relationship that gave her pause—something that wasn’t clear from the application, CV, and interviews. A lot of great things came out of our recent cruise—especially boosting my confidence that we’re building one of the best teams around. As a leader, I’ve never once regretted including spouses in company functions. In fact, it’s usually been the other way around. If I’ve ever gone wrong, it’s been in excluding a team member’s wife or husband. Given the close connection between the personal and the professional, that’s a mistake that I—and probably you—can’t afford to make. Question: How often do you or your organization intentionally include the spouses of your team members?